Next stop: Pluto! AV-010 and New Horizons roll out to the pad a few days before launch. 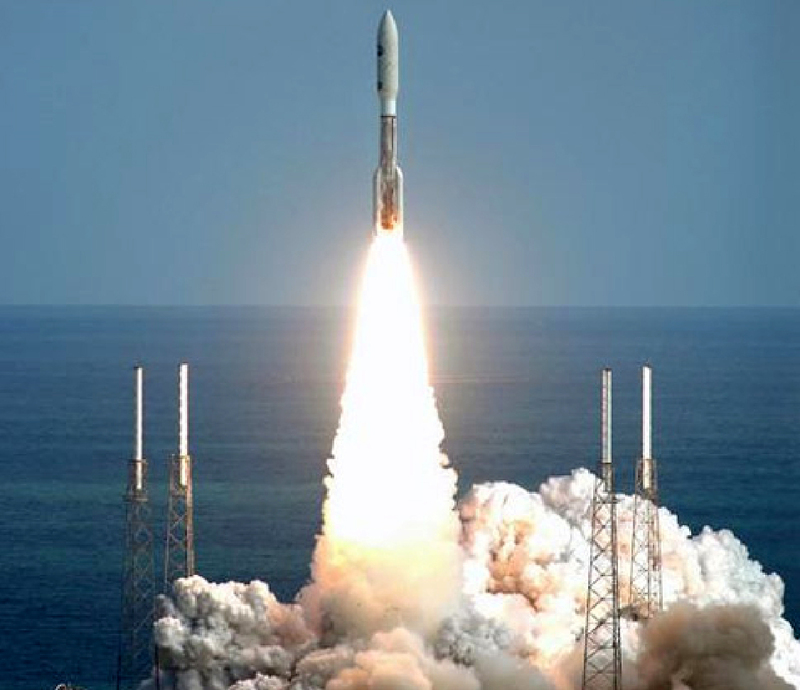 New Horizons is en route to Pluto. 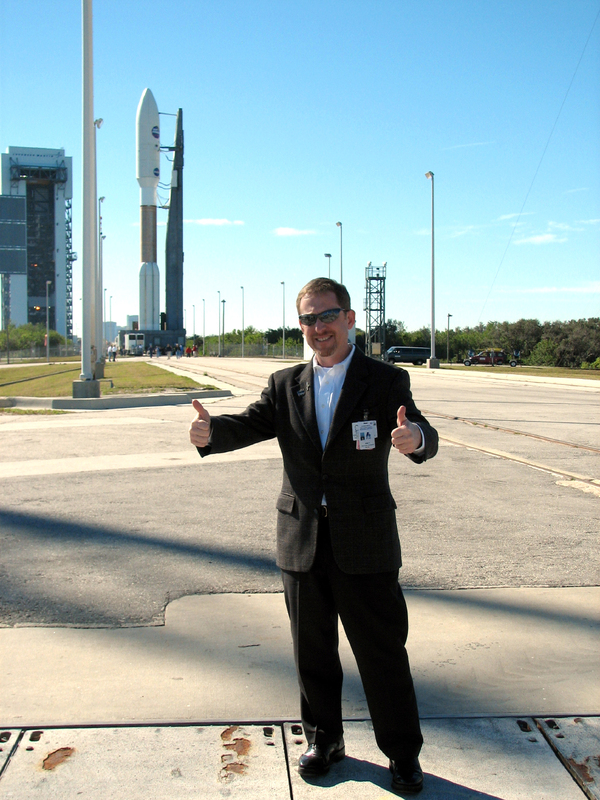 I was told at a post-launch party down in Cocoa Beach that our launch came five years to the day from the date NASA released the Pluto-Kuiper Belt mission Announcement of Opportunity (AO) that resulted in our selection to build and launch New Horizons. Amazing! Even more amazing, given all the political and technical hurdles, we managed to launch onto the earliest-arrival flight time trajectory we could have possibly launched onto — just 9.5 years, from Earth to Pluto. As you know, we faced possible arrival times as late as 2020 for launches even a few weeks late and as late as 2021 if we had slipped to a 2007 launch. What a team of dedicated, hard working people can do when they have a challenge is just magic. And the New Horizons team is magic. 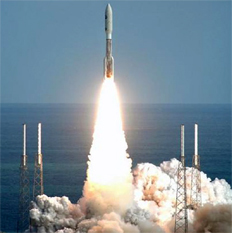 Now that we are launched and safely on our way, we know that our journey will take precisely 3462.7 days, i.e., from 19:00 UTC on Jan, 19, 2006, to 12:00 UTC July 14, 2015, to reach Pluto. Encounter science operations will begin about 150 days before we reach Pluto. New Horizons is headed to Jupiter and was at this position outbound yesterday. As I write this, on flight day 4, we have roughly 0.1% of the journey behind us. In those four days, the spacecraft team has been conducting subsystem checkouts and designing the trajectory correction maneuvers planned to trim up our route of flight to the precise aim point 2.5 million kilometers from Jupiter, at approximately 05:41 UTC on Feb. 28, 2007. On Sunday, we completed the spacecraft's planned spin down to 5 RPM (it was 68 RPM for the STAR-48 firing, and 19.2 RPM after an open-loop burn on launch day). Once we did that, we did the initial star tracker turn-on. Until the star-tracker is fully operational, we're still relying on the Sun sensors and Inertial Measurement Units (IMUs) for attitude reference - both of which performed very well. Because of the extremely accurate launch our Atlas V/STAR-48 launcher combination provided, we only need to provide an 18 meter-per-second correction in order to thread that needle at Jupiter. 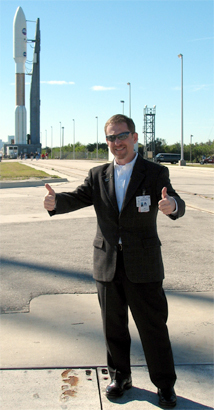 Pre-launch predicts had allowed for maneuvers 5 to 10 times that size. We're all very happy to only have a small correction to make, since this saves propellant for future science mission use. The 18 m/sec correction is planned to be conducted in two parts: a 5 m/sec increment on Jan. 28 and a 13.3 m/sec increment on Jan. 30. We split the maneuvering into two parts to calibrate our propulsion system with a small first burn before going for the majority of the correction. This strategy will allow us to thread the needle more accurately than a single larger burn would have. 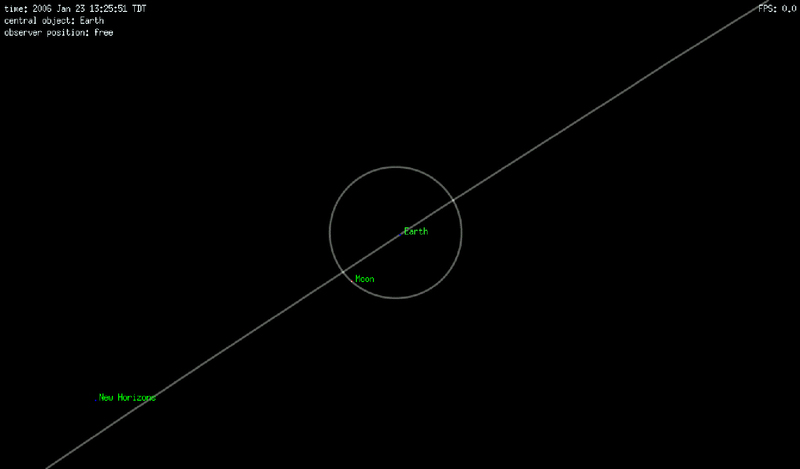 About the heliocentric distance, we will be inside 1 Astronomical Unit (au) until late on Jan. 29 UTC. That makes us officially an inner planet mission for the first 10 days, I guess. We will pass the orbit of Mars on April 8, just a little after the Mars Reconnaissance Orbiter gets there — and it had a 5.5-month head start. 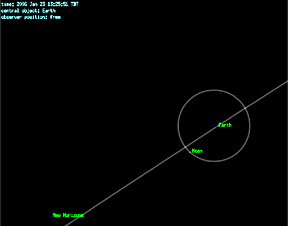 Closest approach to Jupiter will occur at approximately 6 hours UTC on Feb. 28, 2007. A better number will be forthcoming, but that is good to an accuracy of better than an hour already. Closest approach is at 32 Jupiter radii. Because we have to slow down in Trajectory Correction Maneuver (TCM)-1A and TCM-1B by those 18 meters per second, our third stage will beat us to Jupiter. However, because it will not hit the Pluto aim point, it will not beat us to Pluto. (Which is a relief — can you imagine us being the second to arrive at Pluto after all this, having been beat by a derelict Boeing upper stage?) In fact, because the third stage cannot trim up its trajectory, it will not cross Pluto's orbit until Oct. 15, 2015. And when it does, it'll be about 200 million kilometers (roughly the distance from the Sun to Mars) from Pluto. We're beginning to think seriously now about specific planning for Jupiter, and I will have more to say about that soon. In the meantime, enjoy the images below. From one horizon to another: New Horizons leaves Mother Earth. 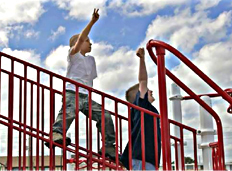 Growing up with New Horizons in mind: Kids celebrate as New Horizons ascends on Jan. 19, 2006.